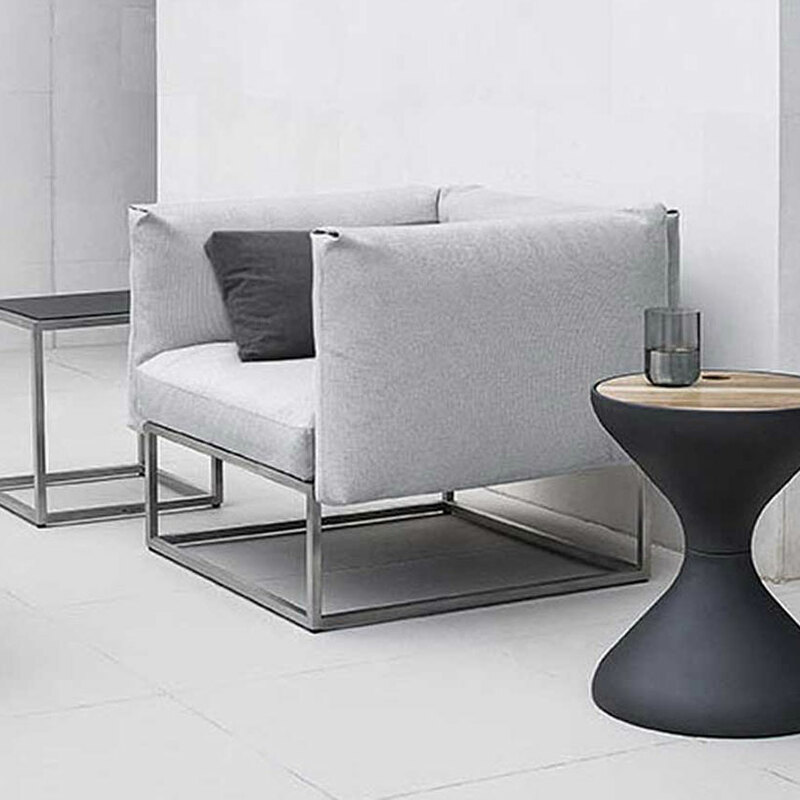 The base and back cushion covers for the Bloc and Cloud collections are made from "LeisuretexTM" – a fabric composed of alternating yarns of polypropylene and "Textilene®" (a yarn made from PVC covered polyester). The inside of the covers are back-coated with a waterproof membrane to ensure water cannot penetrate into the cushion interior itself. Due to this waterproof membrane, all the moisture has to evaporate from the face of the fabric and may take longer to dry. 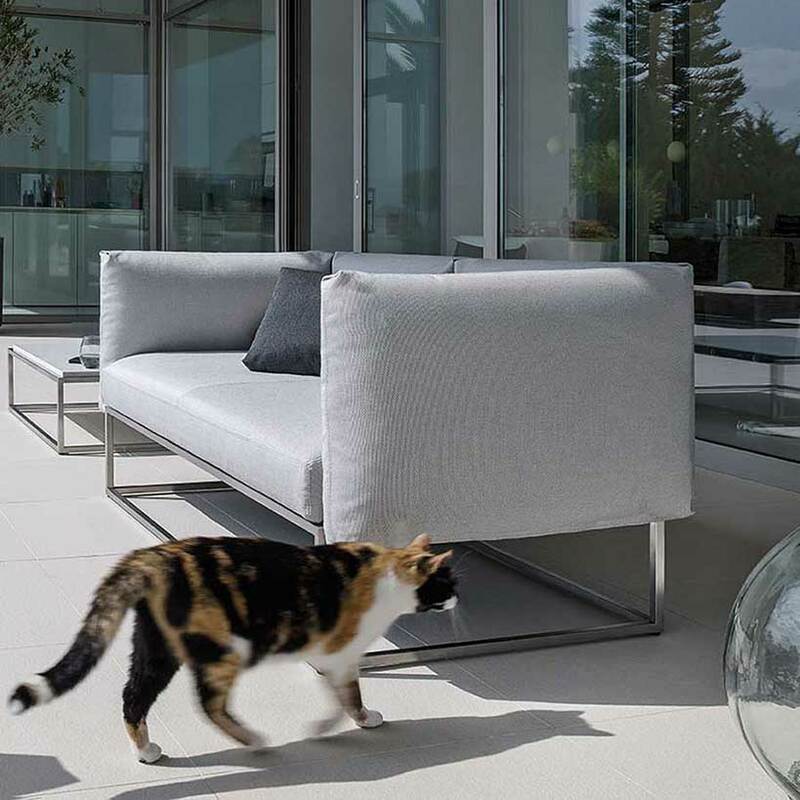 The covers on base and back cushions are removable and the interior of the cushions is water repellent. However, due to the highly tailored construction of these cushions, Gloster does not recommend removing the covers unless it is for replacement purposes. 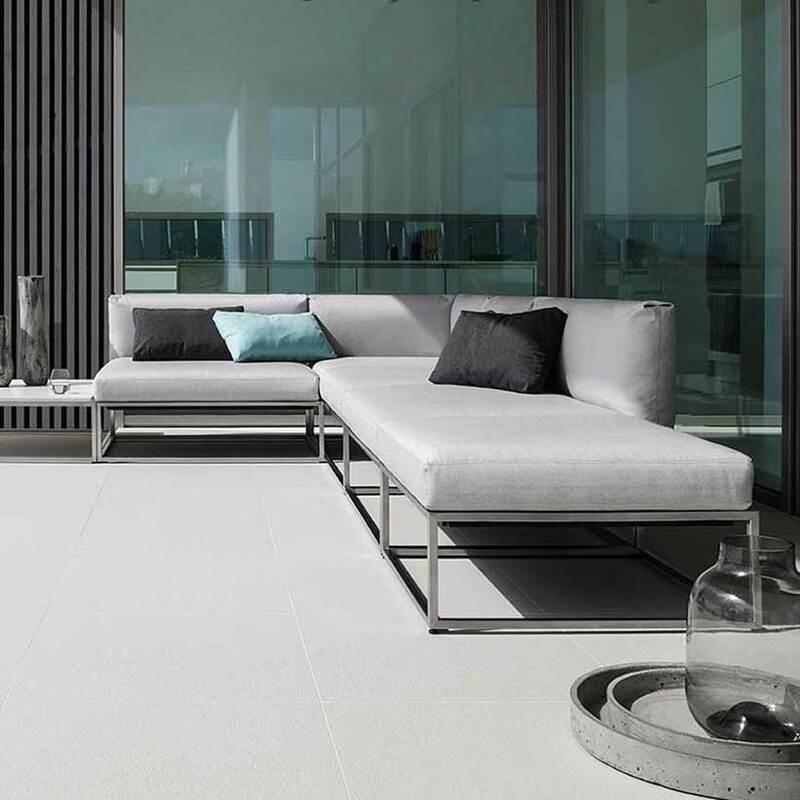 Gloster recommends that base and back cushions are cleaned regularly (at least once a year). For regular, general cleaning and light soiling, use a warm water and mild detergent. Gently brush the fabric clean with a sponge, soft scrubbing pad or a soft bristle scrubbing brush. Rinse well with clean water to remove all traces of the detergent solution. DO NOT use a powerwasher to clean/rinse the cushions as this will cause de-lamination of the waterproof membrane on the inside of the cushion cover. Due to the large surface area of base cushions in particular, it is possible, under certain conditions, for watermarks to appear on the fabric. Watermarks are not ‘stains’ as such and can occur on almost any fabric under certain conditions. On LeisuretexTM, they may occur under conditions of uneven wetting and/or uneven drying. To avoid watermarking it is important to dry cushions evenly, preferably in sunny, breezy conditions. If a watermark appears, use Gloster Sling/Woven Cleaner to remove the mark, then rinse the cushion thoroughly all over, using clean water, and then allow to dry as evenly and quickly as practicable. Ideally, this should be in the open air and in direct sunlight if possible, which will assist more rapid and even drying. 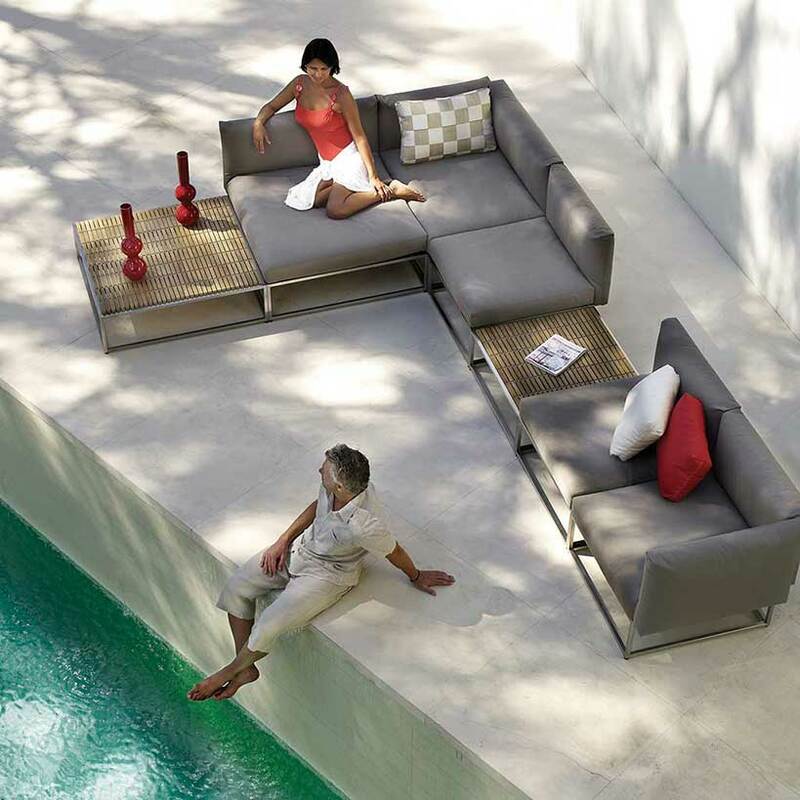 The above instructions apply only to Bloc and Cloud base and back cushions (NOT scatter cushions).